Improve safety, mitigate risk and incorporate the latest technology onto your jobsite with Innov8 Equipment. 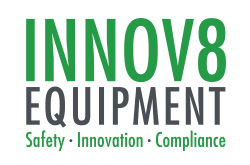 Innov8 Equipment is an Australian owned and operated company dedicated to providing safe and compliant traffic management solutions. 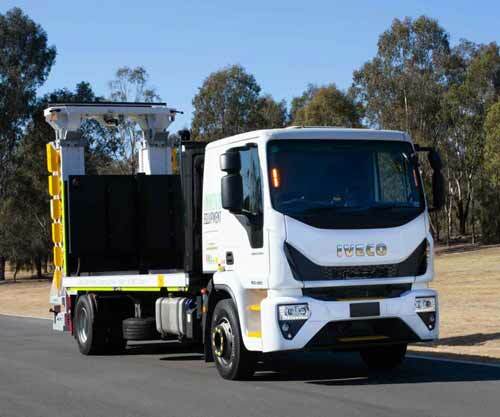 We specialise in Truck Mounted Attenuators (TMA’s), lighting towers, traffic management equipment and vehicles, as well as Variable Message Sign (VMS) boards. Compliant with the highest level of safety standards, Innov8 Equipment introduces the Blade TMA to the Australian Market. Its unique construction features 12 blades and an extra crash length to absorb a crash of the heaviest trucks in the industry. The Blade TMA is the only MASH crash tested approved TMA with roll ahead distance. 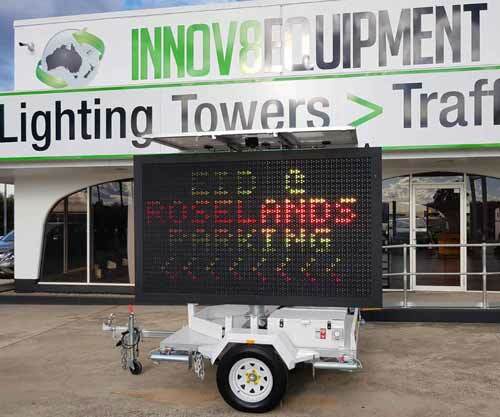 Innov8 Equipment can fully customise your traffic control Utes in line with any budget. Complete new builds or upgrading an existing traffic control vehicle, our team of qualified service and installation technicians will provide excellent service and value for your money. 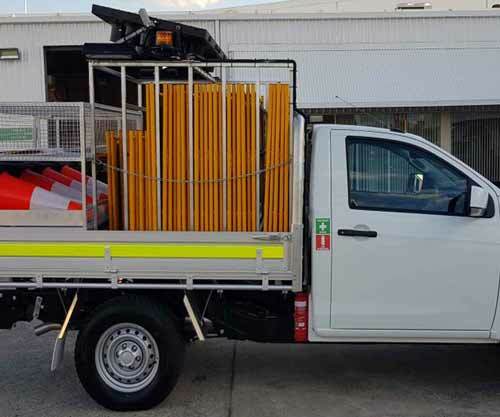 Truck storage solutions for cones and bollards, portable barrier lifting cages and traffic control Utes. 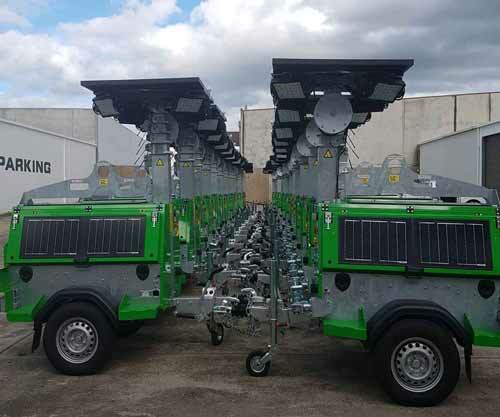 Simple to set up and operate, these truly hybrid light towers reduce maintenance costs and fuel consumption by harvesting the sun’s renewable energy. Use Innov8 Equipment’s green powered lighting towers to save time and money on your site. Our entire range of VMS boards come with radar as standard and use solar power. Full colour, LED displays make it easy to display text, graphics and animations. Optional 3G connectivity and inbuilt GPS tracking make it easy to use and update your display.